Captaineco Takes the Showerhead’s Market By Storm With The Release Of Brand New Eco-Friendly and Mass Sustainable Products. 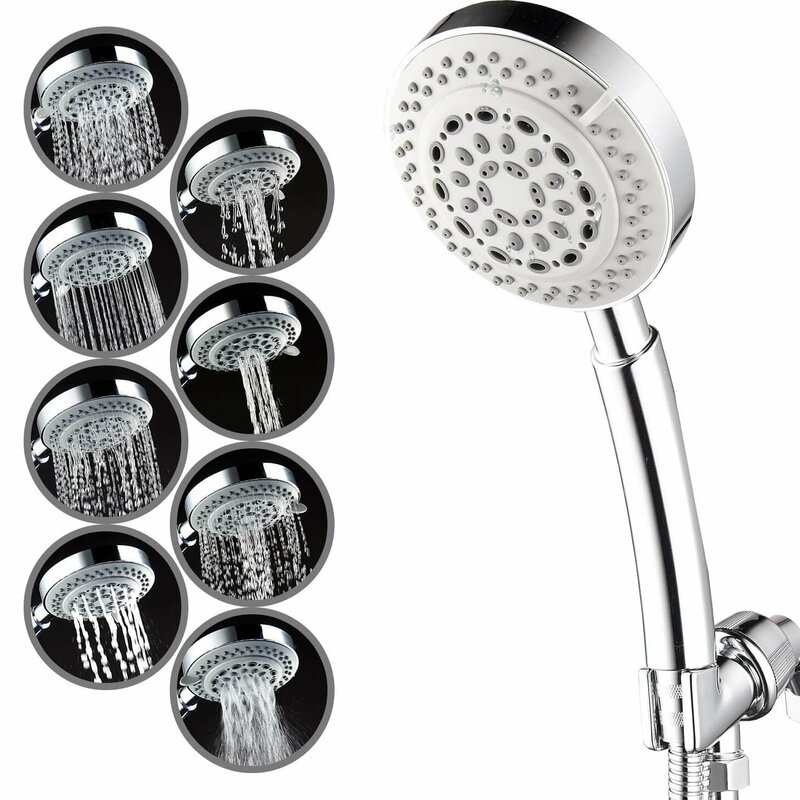 CaptainEco is pleased to announce the release of brand new and eco-friendly shower head products. Captain Eco is a popular brand established with the aim of manufacturing revolutionary, sustainable and green products. All their products combine superior quality with appealing design aimed to transform the look of any old-looking bathroom. All the brand’s prestigious and trendy products come in a wide range of variations and are in line with the most advanced and cutting-edge technology. Captain Eco is an innovative manufacturing company established in 2015 with an aim of fostering a happy and healthy living environment. They are dedicated to providing superior quality products designed to offer a better lifestyle. The newly released shower head units are innovatively designed with user-friendliness in mind. They feature an ergonomic design, and are vigorously tested to ensure that they produce relaxing mist and massaging rainfall sprays. CaptainEco 4 inch shower head boasts 8 settings performance and a unique high-pressure jet. With amazingly built nuzzles, this state of the art shower guarantees a shower head rainfall which will leave any user fully relaxed and rejuvenated. Captain Eco also produces high quality shower head with Massage which brings modernity in the bathroom. The brand understands that a bathroom is a place where we frequently visit. That’s why the production team went a mile further to design the most accommodating and comfortable hand held shower heads. The flexible shower head will not only renew the whole appearance of the bathroom but also provide the high pressure rainfall we always craved. CaptainEco shower head with handheld capability features 8 innovative settings. It combines 8 water flow types with low to high water pressure creating powerful, and all massage rainfall sprays which are perfect for both pets and kids. This device is undoubtedly one of the best baby shower heads available in the market today. 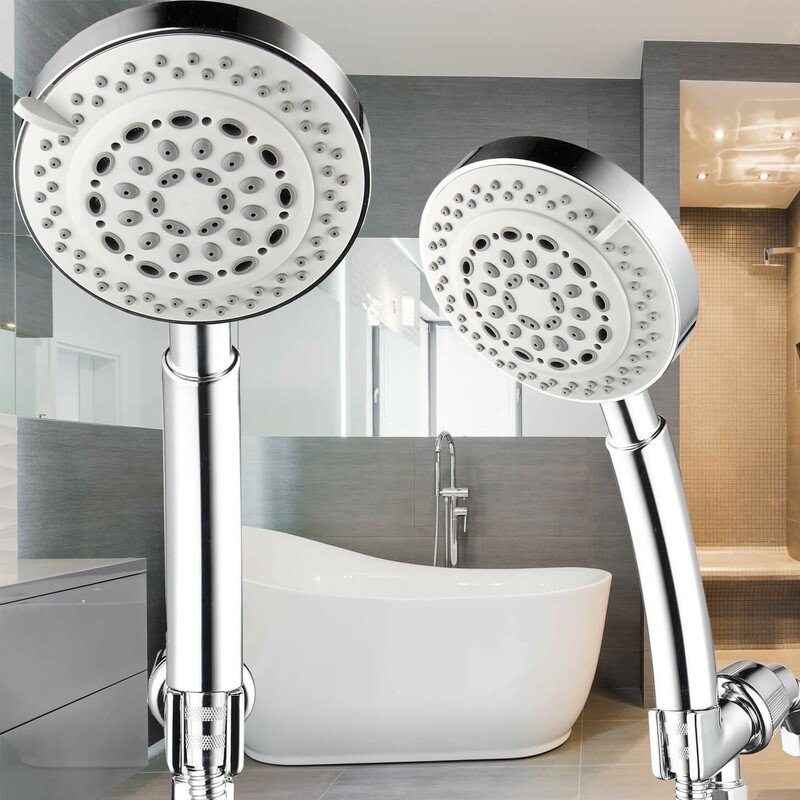 Its high performance chrome finish head ensures a steady supply of high pressure in the bathroom. It also comes with a shower head extension, a connector and standard diverter making it incredibly easy to handle. CaptainEco also introduces Dual shower heads which are specifically designed for those who’d like to enjoy more luxurious and powerful sprays and possibly spend less time in the bathroom. 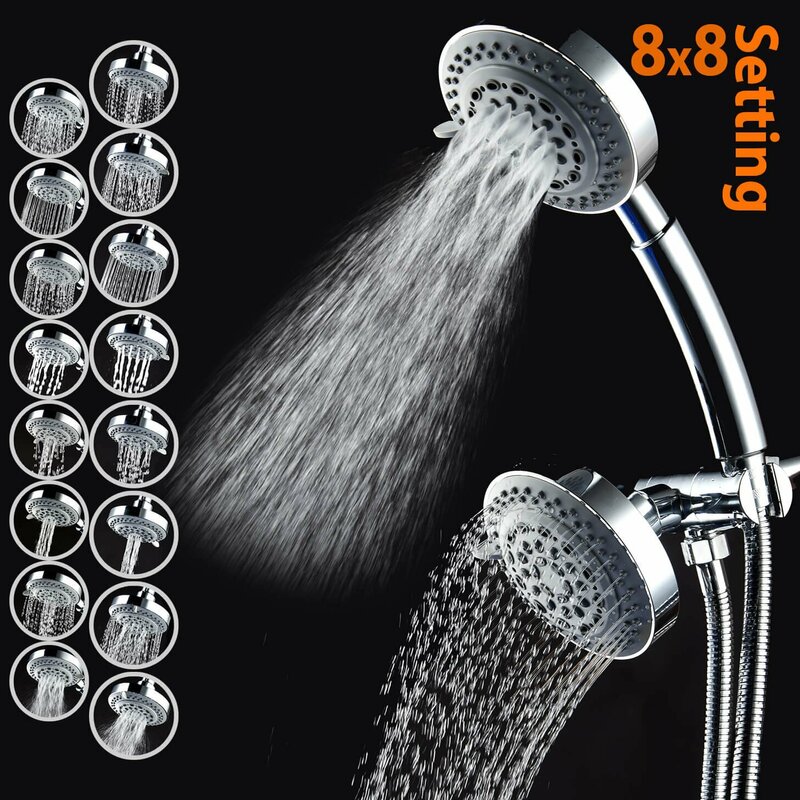 CaptainEco 8 x 8 Function Combo Shower head is one of the most advanced dual shower heads in the today’s market. 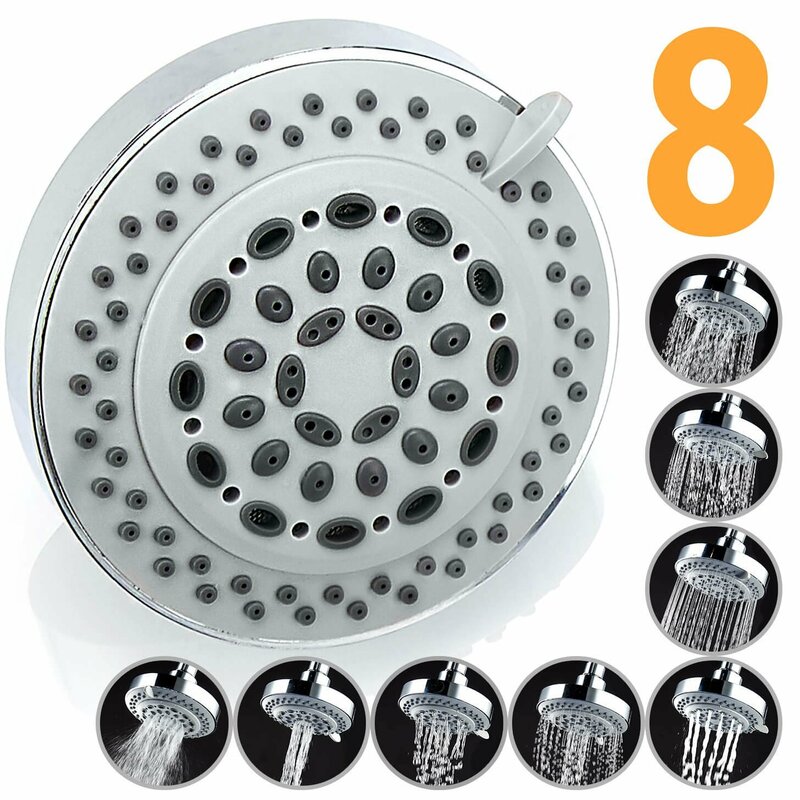 The top of the line shower head combo features 8 by 8 settings with prestigious and powerful sprays. It’s innovatively designed and high-quality anti-clogging jets are aimed to produce powerful sprays. With full control of the output, eco power, massage rainfall and more, this product is incomparable with the other products in its class. This product gives users a chance to experience versatility by either using the handheld or the fixed unit separately. One can also use the prestigiously designed combo as a set for the ultimate experience overhead to create both hard and soft flows. Captain Eco is a leading name in the design of futuristic and cutting-edge ultra luxury showerheads. They pride themselves on producing eco-friendly products, which not only transforms the homes of their customers but also conserves our mother nature.